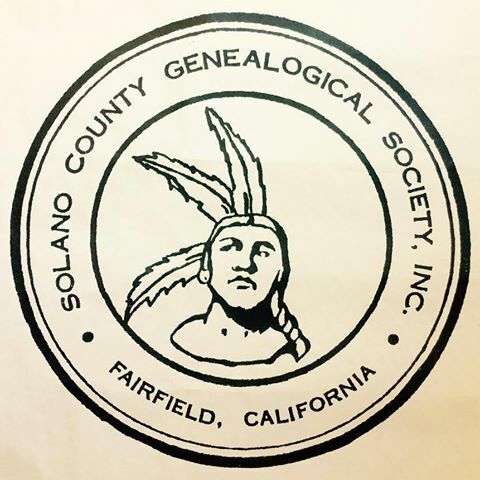 The Solano County Genealogical Society (SCGS) was founded in April of 1981. The Solano County Genealogy Society library is located in Vacaville, California. It is open every Monday and Thursday, and the third Saturday of each month from 10:00 a.m to 2:00 p.m. They have plenty of genealogical reference materials. The Solano County Genealogical Society provides online databases, a partial list of reference materials in their library, and list of their publications. They also have on-hand collections of church records, year books, obituaries, plot maps, cemetery records, and more. They have a card file that contains thousands of names and events for Solano County residents. Their library contains material for local, national, and international research, and is continuously adding to its collections. They offer computers, microfilm, microfiche, and photocopy equipment. Society volunteers staff the library, and visitors are always welcome. A donation of $2.00 is appreciated from non-members in exchange for use of the library. Requests for research and information may be made in person, by mail, or email. In addition, they have collections of directories; historical and biographical information; and voter / Naturalization records.